When Frank was drawing lines for the new sail plan, I had him assume that the staysail would be loose-footed. That was about a year ago and since then I’ve been sailing a sloop rig. It’s been great except while reaching and running in winds above twenty knots, or when the winds are light and the jib will not pass through the stays without going forward. There has been a few occasions where the staysail alone would have proven very useful. 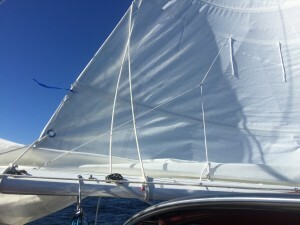 Once heading north from Watmough Bay north, I saw thirty knots of true wind. 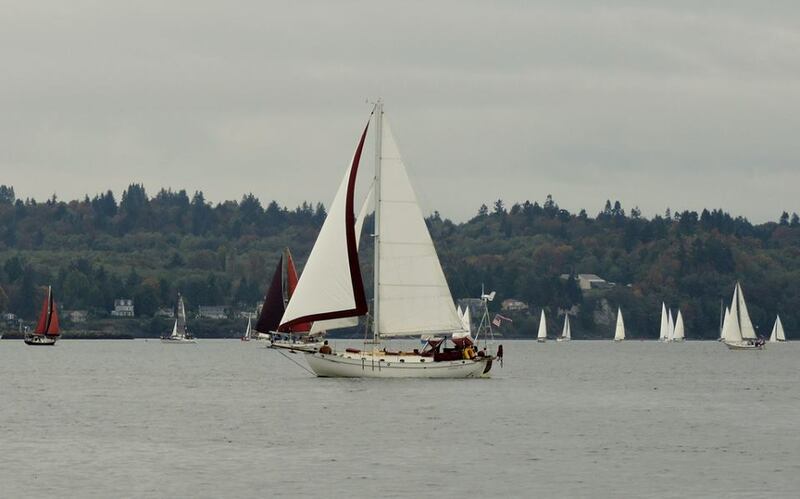 The jib was reefed down to about forty percent and Satori did not do well with this sail arrangement. The clew of the jib is up high, so the effort is in the center of the triangle and too far forward. 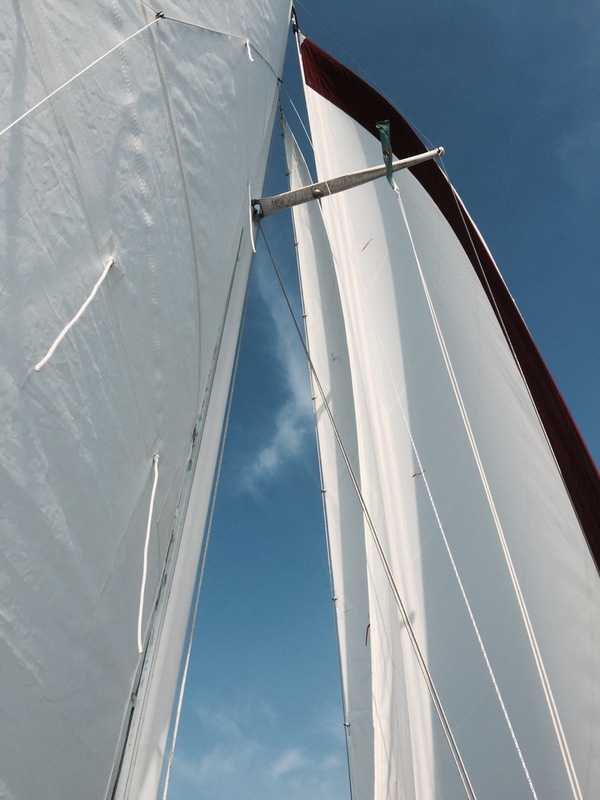 If I had the staysail I would have rolled up the jib, raised the staysail and enjoyed a comfortable and safe run with a light helm without weather or lee. I’ve been waiting since April for a long spell of good weather in between other projects to install the new deck hardware. 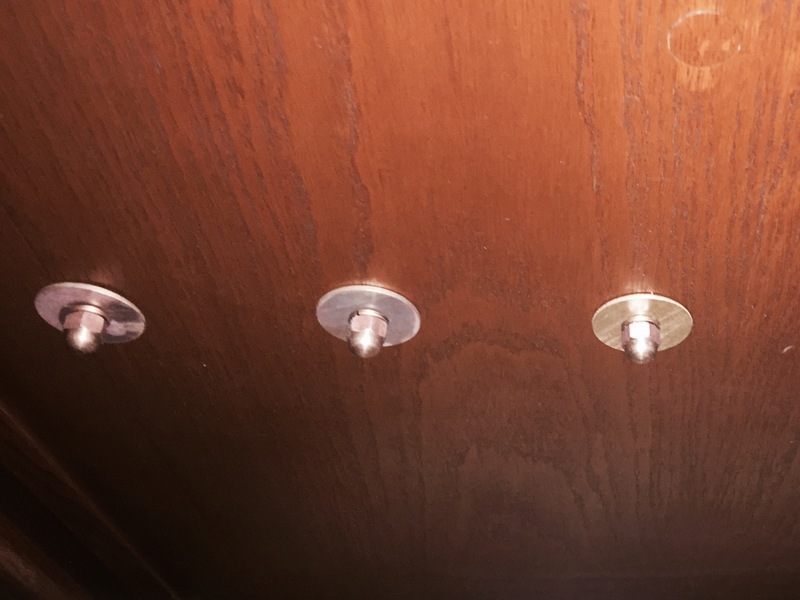 I’ve gone over the steps in my head, consulted others about the process, and finally built up the courage to drill the fifty holes needed for the new hardware. When I began researching how to install bolts into a fiberglass deck, I had seen several different methods employed to do this. First off, I did not want the core exposed to possible water leaks. I also wanted to be able to remove the hardware without much work. 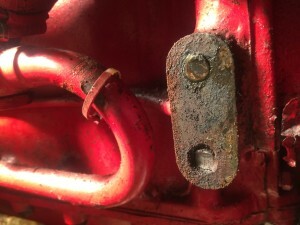 If a sheave broke, a winch failed, the track was compromised, or the rope clutch was damaged, I want to be able to remove it and replace it without having to drill new holes or patch a rotted core. I also wanted to keep the cabin looking good with bronze, brass, teak, etc. I talked to a lot of people about the different methods on how to approach this project. Bud Taplin has been through just about every repair on a Westsail and suggested that I do not drill through the deck but simply tap into it. I didn’t like that idea because of the possibility of exposing the core to rotting, but it did give me more ideas about thru-bolting. I also inquired about how to make an epoxy plug that would hold on it’s own. Eventually this evolved into what I think is the best way to install hardware that may take high loads from severe weather. 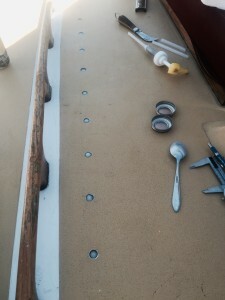 The first step is to line up all of the deck hardware on one side and use a spare line to check for routing. The cheek block will need to turn the line and create a straight line to the rope clutch. I decided to allow for an additional rope clutch if one day I decide to add a halyard or other line to the same winch. That meant the rope clutch would be offset a tiny bit so two lines would lead to the winches properly. The winch handle needed to clear all obstructions, specifically the dodger frame and sliding hatch, so the winch was placed so I could do a full rotation. Once everything was in place and lined up correctly, I used a pencil to draw an outline of the hardware and fill in the bolt holes. Once the lines were drawn on one side, I used a ruler and caliper to determine the position of everything on the other side using existing lines and points on the deck. Again I traced the outline, filled in the holes, and prepared to drill the holes. I started with the tracks by drilling a pilot hole on one end, just to see where it would come through on the other side. Once I found the location inside, I used a countersink bit to open the headliner plywood to prevent splintering of the top laminate. Next was getting a hole on the other end of the track drilled. Because the tracks were raised in the middle and curved a tiny bit, I made sure to use the same track and kept track of which side was forward so the bolts would later line up properly. Again I went below and countersunk the headliner. 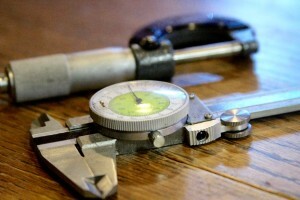 I then used the same pilot hole to drill a 5/16″ hole, which allowed me to install a bolt to hold the track in place. Next I placed a weight on the center of the track to flatten it due to the slight camber, then drilled a 5/16″ hole on the other end. Placing an additional bolt in the end hole allowed the track to be lined up for each additional hole. Using the track as a guide, I could drill the remaining holes. I followed the same procedure; pilot hole, then countersink the headliner, and finally drill to 5/16″. 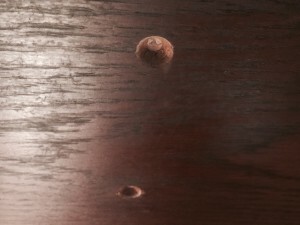 Once I had all holes drilled, I went back through and drilled to 3/8″. Then I used a keyhole bit on a Dremel to route out the plywood core to create a gap to fill and strengthen the epoxy plug. 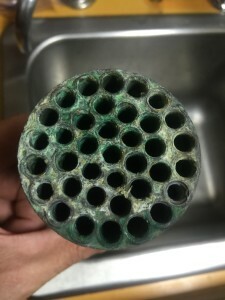 This also prevents any water that may leak into the hole from rotting the core. The next step was plugging with epoxy. I used West Systems epoxy with a resin filler to thicken it. The consistency needed was crucial. Too thin and the epoxy would run into the headliner foam or escape through the backing tape. Too thick and the epoxy would either have an air pocket, or it would not fill the hole entirely. The correct thickness allowed the hole to be filled completely from the headliner, through the core, up to the gelcoat. 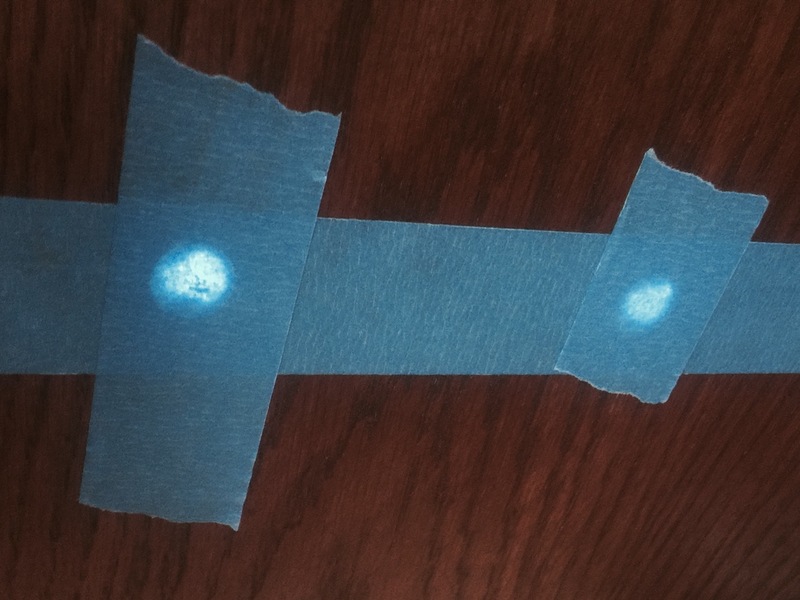 First I added blue masking tape to every hole inside the cabin on the headliner. Then I went back up to the cabin top, mixed the epoxy and started filling the holes with a syringe. Once it began hardening, I allowed it to cure overnight. The next day I prepped the cabin again to collect the resin from dusting the interior. 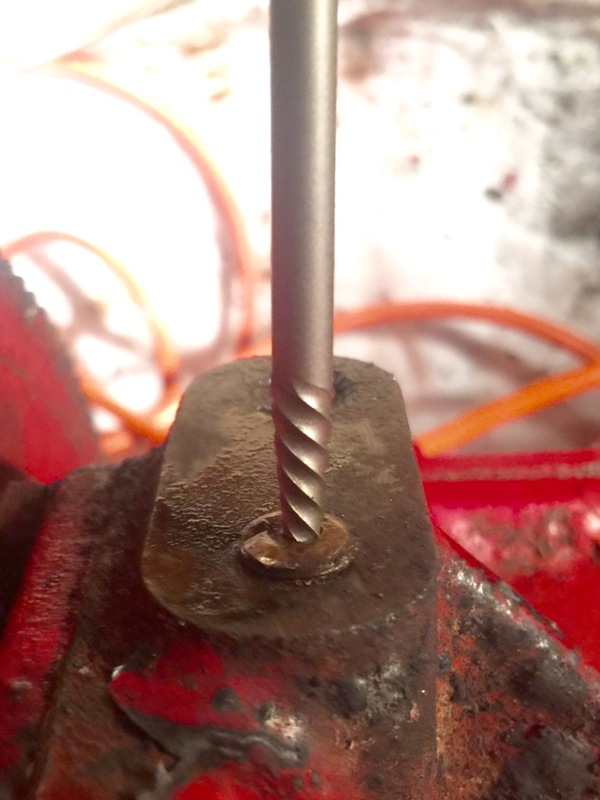 I then found a sleeve to center the drill bit so the hole was not accidentally drilled offset, thus creating a problem screwing down the hardware. The sleeve was just a plastic tube that the carbide drill was stored in and fit the track hole perfectly. I began with the ends again, lining up the track for the additional ten holes. I only drilled the starting hole, which was centered in the plug hole and down to about a centimeter. Then I drilled the remaining holes once the track was removed, through the deck and headliner. Then swapped the bit and used the drill to tap the hole for threads. 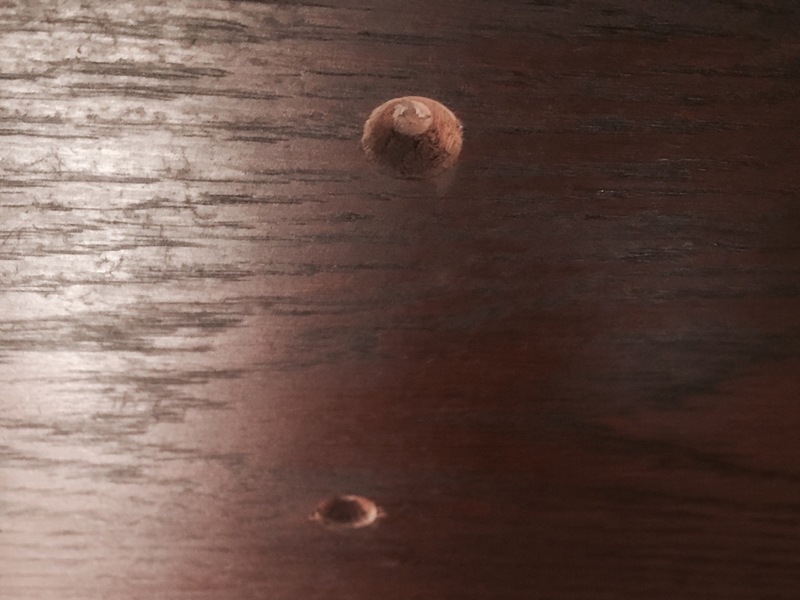 Once I had the first hole drilled, I repeated the steps on the opposite end and then used the drill to screw down the track for the remaining ten holes. Using the sleeve I started the remaining holes, then removed the track and finished the process of drilling and tapping. The final step was to countersink the hole to allow the butyl tape to fill in the gap between the track and threads. For every piece of hardware I follow the same procedure. In the end I had forty-eight epoxy reinforced, tapped holes. The remaining task was bedding the hardware. I used butyl tape as the bedding compound. I’ve heard great things about butyl tape due to several reasons. It’s easy to work with, like working with silly putty. It seems to do an excellent job at sealing for decades if done properly. Finally it’s easy to remove if you ever need to for whatever reason. All of these combined benefits makes it better than any other liquid compound on the market. 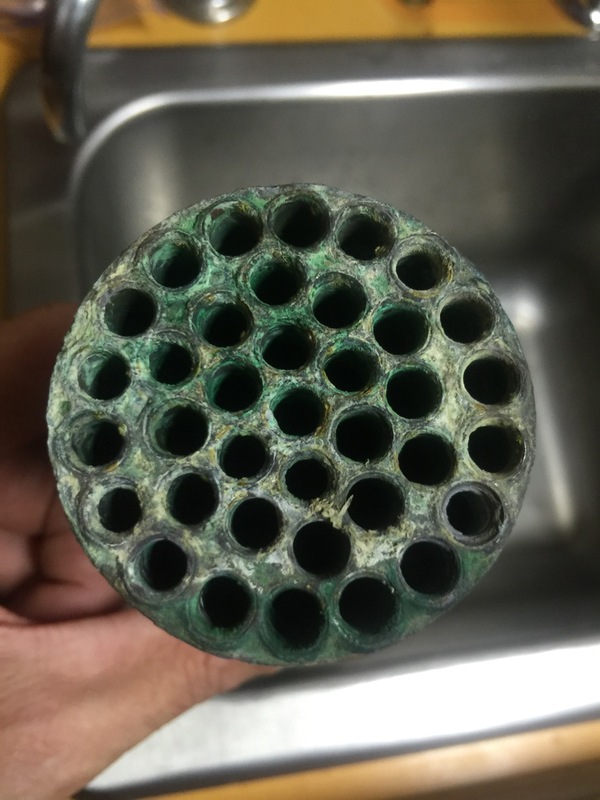 Ideally when bedding hardware you will create an even surface and expose the holes enough to prevent the compound from catching on the bolt when you’re screwing it in. Also it’a a good idea to build up a small amount under the bolt head and again at the top of the threads so the countersink portion will completely fill. If you really want a tight seal, you can also add a layer to the threads. I decided not to do this so if there was leaking from the hardware bedding, I would see it coming through the cabin top instead of remaining inside of the hole, but not penetrating. 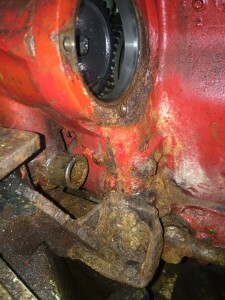 Although it’s entirely epoxy in the hole, I still do not want standing water inside because that will eventually cause the bolts to rust and since they are hidden I will only see the issue if I pull a bolt. For finishing the bolts inside of the cabin, I decided to use all bronze fender washers, lock rings and cap nuts. The fender washers and lock rings are easily found at Fisheries Supply, but there seems to be only one online supplier for the bronze cap nuts. I could have used brass but I did not like the polished look at eye level, plus it looks much better. I was initially scrutinized by some pretty harsh internet personalities for even considering tapping the deck, without using backing plates. It seems that no one likes the idea of depending on the threads alone to prevent the hardware from pulling out. The cheek blocks, rope clutches, and winches are under shear loads but many folks were concerned that because I did not have composite or metal backing plates that the hardware would pull out. I did attempt to try to calculate the potential loads using whatever information I could find. Dave King provided some force numbers based on the square footage of the sail. He also provided expected loads with specific wind speeds, and the forces applied on a flogging sail. I also looked at some data provided on the pull-out strength of epoxy when tested as a plug in a wooden block. 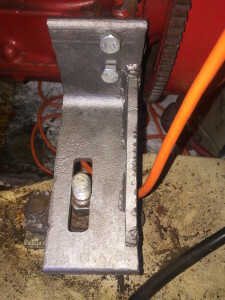 In the case of the bolt strength test, every bolt was glued in place but others have suggested that tapping with machine threads would only reduce the strength by a small amount. 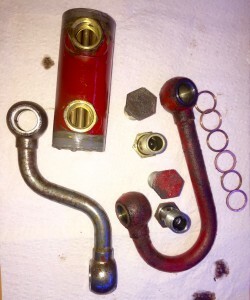 There is also compression loads to consider, there the bolt will be pulled horizontally and the top of the plug would compress forward, the bottom compress away from the shear load. This is exactly why I decided to bolt through with epoxy. It provides a compression sleeve to increase strength with the added benefit of sealing the plywood core. With all of these considerations, it was obvious that tapping alone may produce an insufficient amount of strength if I was ever caught offshore in a gale. Fender washers and cap nuts will certainly suffice for the tracks, even if there are two bolts are simply screwed down without backing. I am confident that they will suffice for any potential load that the staysail or storm jib can produce. The winches and rope clutches have a turning block to reduce the loads placed directly on them. I am not certain of the reduction but it should be enough to eliminate backing plates to prevent the winch bolts from pulling out. 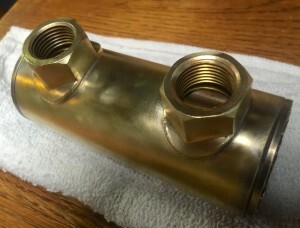 Fender washers should suffice for all of the thru-bolts and deck hardware with the threaded epoxy compression sleeves. If I were to have used a liquid bedding compound, did not plug and reinforce with epoxy or tap for machine bolts, I think there would be argument for single backing plates on the deck hardware to spread the loads. Also if I were flying a genoa of three-hundred square feet on this hardware and were racing, pushing the limits of the hardware I would consider a completely different strategy. I’m not racing and the sail will never be large enough to cause these kinds of loads. The storm jib is half the square footage of the staysail and perhaps in hurricane winds I may see the tracks rip out and the winches shear. Let’s hope I’m smart enough to avoid winds above forty knots so I will never know the breaking strength of any of Satori’s rigging and hardware. 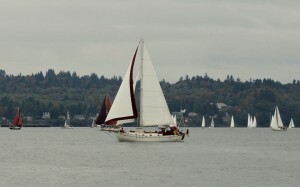 The Westsail 32 is a stout boat. With a gross weight of more than ten tons, and a ballast of three and a half tons, the remaining weight of wood, metal, and fiberglass is six and a quarter tons. An excellent choice for anyone looking for a hull that can fend off damage from running aground or boarding seas. The ballast is also encapsulated inside the keel so the only component under the water subject to damage is the rudder, which is protected by the keel and oversized bronze gudgeons and pintles. The rigging is also constructed with a stout mast, outboard chainplates and oversized cables, which can keep her mast upright even after being knocked down. Her balanced sail plan is designed to allow three sails to fly, with the jib stay extending six feet beyond the deck and the mainsail boom extending to the furthest aft part of the cockpit. 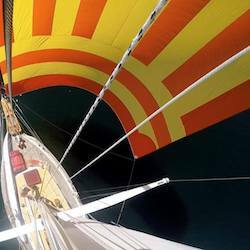 The working sails are a 374 ft² yankee, 320 ft² mainsail and 150 ft² staysail. Satori is 844 total ft², but the sail plan is calculated as 663 ft2. 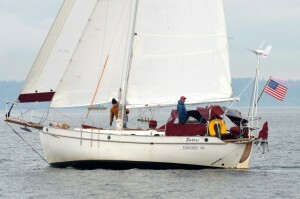 A reduced sail plan is an 80 ft² trysail and 85 ft² storm jib, a total of 165 ft². 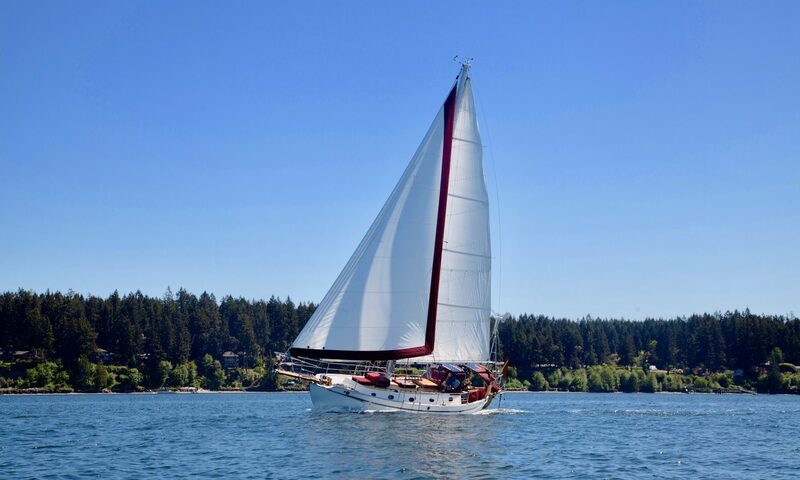 To keep keep the mast up, there are six shrouds extending outboard, a forestay, an staysail stay at two-thirds up the mast, and a single backstay. 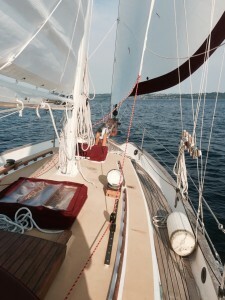 An additional set of running backstays provide opposing force when the winds are greater than twenty-five knots and the boat is running downwind under staysail or storm jib. The simplicity of a tiller prevents any potential risk of loosing steering because there are no moving parts aside from the gudgeons and pintles holding the rudder to the keel. So with such a massively build boat, is it possible for a Westsail to sink or become dismasted? Absolutely. One thing to consider about owning a Westsail is the age of the boat and rigging. 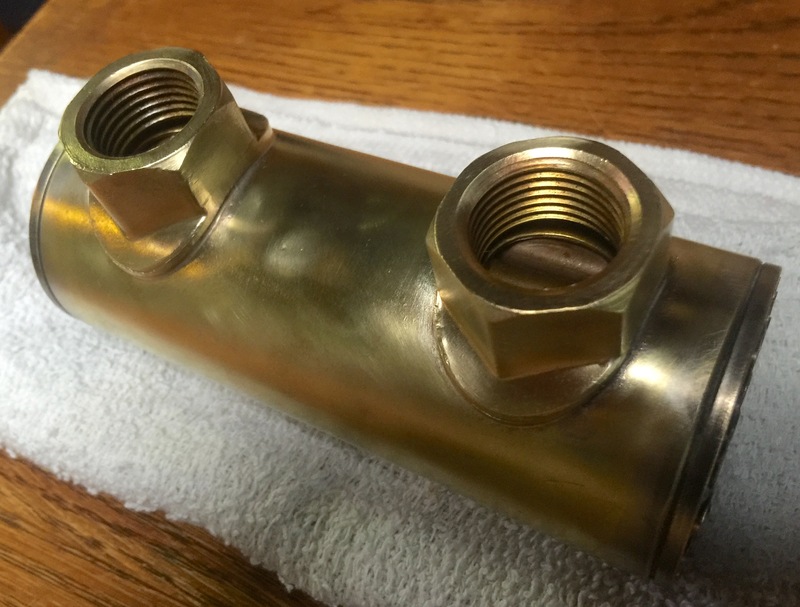 Bud Taplin provides a list of known part failures that have occurred over the last forty years. Rarely will you hear of a Westsail becoming holed from running aground but there are rare occasions where the captain made a fatal error in navigation, which caused the demise of their vessel. In the video below, you’ll see that this particular incident happened on the Coast of California against sharp rocks. Most of the reports from Westsail being lost are due to rigging failures or neglect and abandonment. If the rigging has been well cared for and serviced regularly, the rig could be strong enough to handle a complete capsize and 360 degree roll. Sundowner is one boat in particular that has been rolled, yet did not suffer a dismasting. Likely this was due to the fact that the owners were meticulous in keeping the rig in good condition, and likely serviced and replaced any suspect part that has a potential to fail. Westsail ‘Pilot’ had also suffered a dismasting after enduring big seas and gale force winds. They attempted to run before a gale, then endured a complete roll, and finally lost their rig after attempting to run under bare poles. ‘Tar Baby II’ had also suffered a dismasting but not due to storms and heavy seas. This time it was a rigging failure from one of the toggles on a boomkin stay. 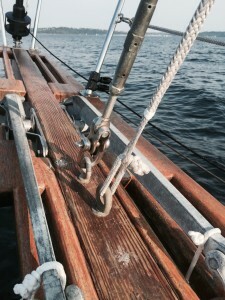 The lower stays that hold the fore and aft stays are crucial to supporting the mast and are often neglected. They chose to abandon their boat instead of attempting a jury rig, and were rescued by a fishing vessel. The video below shows their wonderful journey, which includes the abandonment. What’s interesting about this particular situation is how the rig ended up failing. Since the downward support of the boomkin was no longer in tact, the wooden boomkin sheared right where the thru-bolts held it in place. 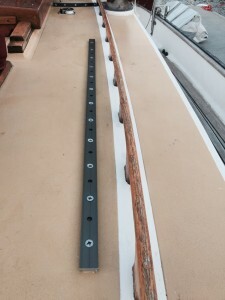 The lesson for all Westsail owners is to make sure that these four stays that support the spars are new and their chainplates are also replaced. Bud Taplin suggests that every boat replace the chainplates that hold down the spars if they are original. Another example of a Westsail suffering a dismasting due to a complete rollover is ‘Aissa’. In this incident, the boat was in the high latitudes, southeast of Stewart Island and was also reaching before the wind and seas under only the storm jib. Perhaps at this point of sail the waves had a good chance of rolling the boat, but as mentioned in this story, the seas were steep enough to potentially pitchpole the boat, which might cause even more damage or worse. This is yet another story of the captain deciding not to tow a sea anchor, heave-to or set a bow anchor. Fortunately they were able to run under jury rig and motor to get their boat to shore. Finally, the last story was also a scenario where the boat was in the high latitudes near Cape Horn with an accomplished sailor named Tom Corogan, who extensively sailed his boat ‘TLC’. In this scenario, it is uncertain if the backstay broke or if it was also a result of the boomkin stays breaking, but it did lead to the mast coming down and the boat being abandoned. 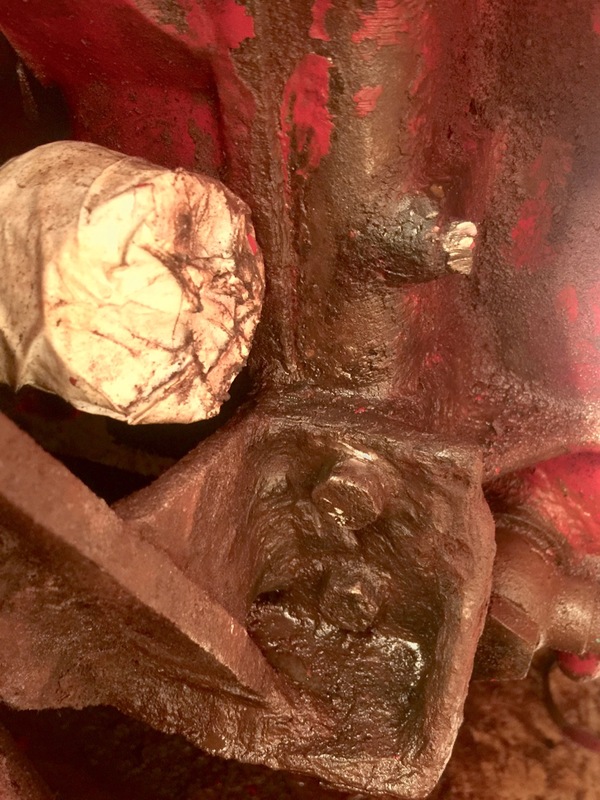 There is a photo that shows how the boomkin looked after the rigging failed, and it looks as if the entire mess of steel had lifted and moved to the port side, which may indicate that it was indeed the boomkin stays and not the backstay. Also in his interview he mentions “two little cables” instead of the single long backstay, which also indicates the boomkin stays had failed. The confusion is he also says, “after the two backstays broke”, but two backstays would not be considered little so I’m speculating that it was the boomkin stays. I am looking towards other to get more info on this incident. Another discussion seems to indicate that it was the backstay, but that was provided by a news article so there is still some uncertainty. What is known is that the wreckage caused the tiller to become jammed, which prevented him from steering the boat, then later caused the abandonment. Wether it was the backstay or the boomkin stays, a rigging failure yet again caused the boat to become disabled. 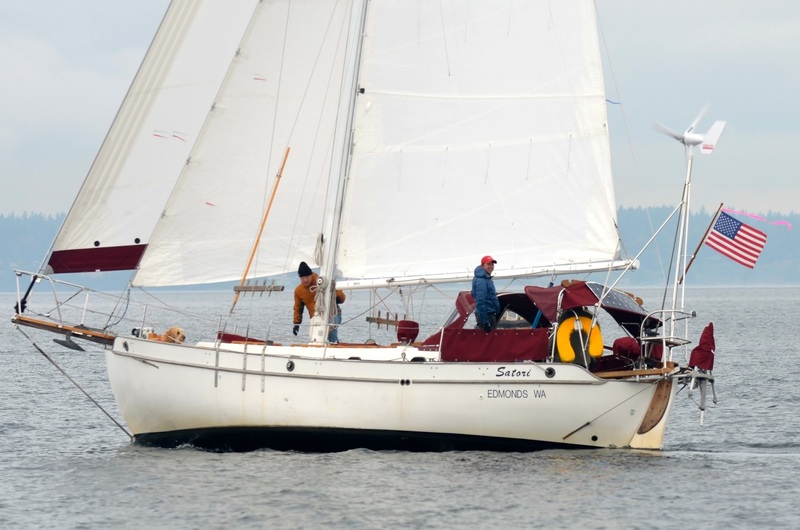 Perhaps the most known story about a Westsail abandonment is Satori. 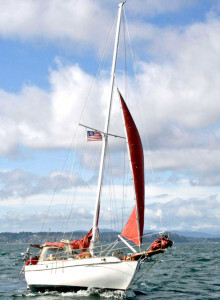 Many people mistake this Satori for the Westsail that is also named Satori on the Atlantic side of the country. By coincidence they were both named around the same time. My Satori did do some cruising in the North Pacific, but the infamous Satori only sailed the North Atlantic. Coined, “The Perfect Storm”, a popular novel included Satori and Captain Ray Leonard. The story begins with a well rigged Westsail with two crew members. The boat was knocked down in a storm that absorbed Hurricane Grace and another no-name storm becoming, “the storm of the century”. There is an excellent article that documents the account which led to the abandonment of Satori. In short, the Coast Guard rescued the crew and the captain left the boat to sail under storm jib and pointed it towards New Jersey. Later the boat was found on a sandy beach on the shores of New Jersey and later repaired. Nothing more than a some light damage occurred to the boat after running aground. Later the boat was repaired and continued to sail without issue. There are other stories about Westsails being lost at sea but much of it is limited information and not much to be learned from them, other than perhaps to carry the proper emergency radio communication equipment. I have not heard of any stories where the crew had rigging failure and the boat and crew perished as a result. I’m sure there are stories though. There were over eight-hundred Westsail 32 hulls manufactured so there must be more stories out there. Readers if you know of any, please add your comments and link to any other accounts that are available online. 1) Learn and use storm tactics that are known to succeed. Lin Pardy’s book, ‘Storm Tactics‘ describes heaving-to and deploying a para-anchor from the bow in a bridle to keep the bow to the waves. Bernard Moitessier tried trailing warps on his first trip around Cape Horn, then later learned that he could surf waves coming from his stern quarter under bare poles and keep the boat in control at all times. This meant having someone at the helm at all times as well. Many people believe that the Jordan Series drogue is a better solution for keeping the boat stern to the waves and slowing the boat down to prevent capsize. John Kretschmer describes his best heavy weather tactic as beating or heading to wind when the winds are gale and beyond. There are many other opinions and ideas regarding heavy weather sailing, but the most popular and perhaps the most successful is knowing how to avoid heavy weather all together. Either way, not one tactic will win but also not one tactic will work for all boats in all situations. I am still working on outfitting Satori with storm equipment. I have a new trysail and storm jib for when the winds allow for sailing, but am not further equipped with a para-anchor, Jordan series drogue or additional high-load tackle. I am planning on outfitting with both bow and stern anchors however. 2) Prepare and maintain your rig and rigging. In the most popular accounts of a Westsail becoming dismasted, it seems that the rigging could have been inspected, replaced and maintained to prevent a failure. 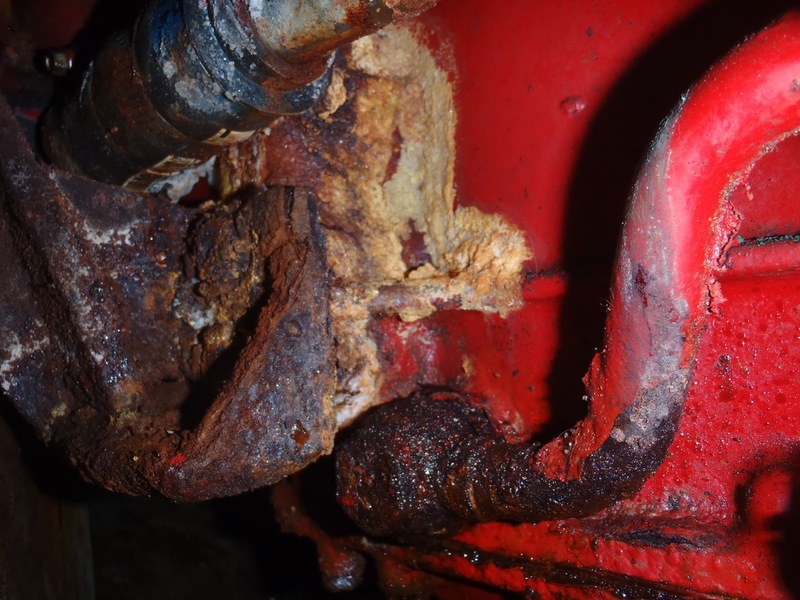 This includes the chainplates, the mast assembly and toggles, turnbuckles and anything else that may not have been inspected or replaced before heading offshore. When I purchased Satori, I thought simply replacing the standing rigging would be all that is needed to prepare the rig for offshore sailing. I’ve now decided that I was naive to think that the four stays and chainplates would suffice, as would not rebuilding the mast and inspecting every single fitting. I’ve since decided that I will continue to refit Satori during this upcoming winter, with the primary project being the mast, boom and any other rigging that has not already been serviced or replaced. Another idea I’ve had is to make sure there are backups for the backstay and forestay. A dyneema solent stay would be useful to allow Satori to run under two sails, or allow a genoa to be deployed without having to take down the yankee on the roller furler. It would also allow the storm jib to be deployed on the forward triangle to balance the helm in winds from twenty-five knots to thirty-five knots. Currently the plan only allows for the staysail and mainsail triangles to be utilized. 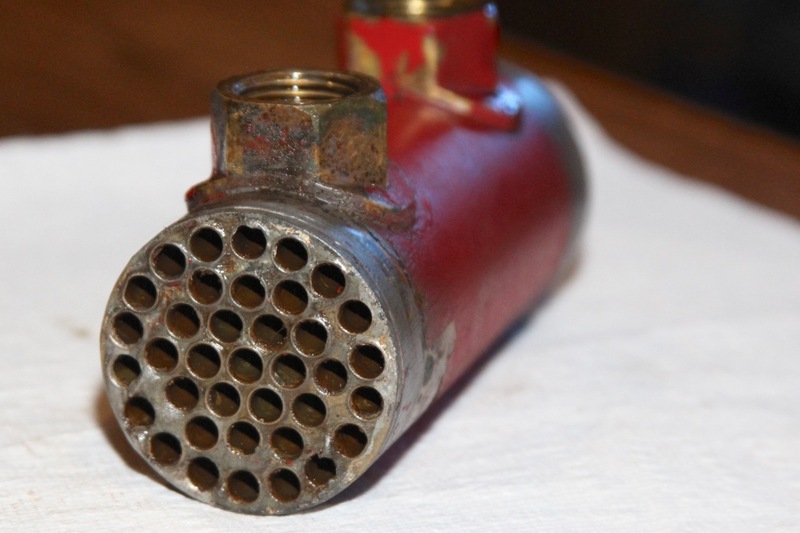 It would also serve as a backup forestay in the event that the steel stay failed. 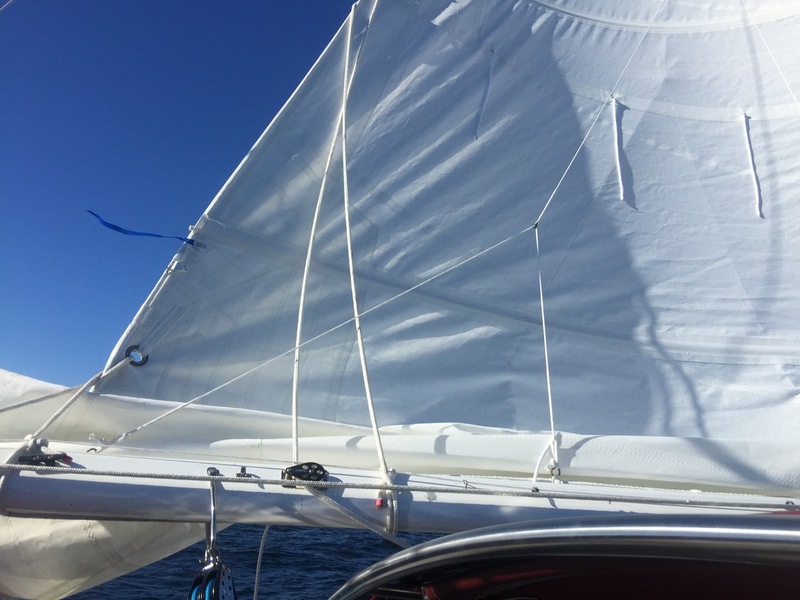 The backstay could also have an additional dyneema stay that could be attached like a running backstay but when running with only a sail on the forestay or spinnaker, as opposed to only the staysail and opposing runners. When neither of these stays are needed, they can be lashed outboard to a belay pin and because of their light weight, would not cause a sacrifice in weight aloft. I do not expect anyone to believe that I am an experienced offshore sailing captain, or even experienced with Westsail 32 sailing yachts. I am only in my second year owning a sailboat and have never been offshore. I have only learned from the media that is available to read from other accounts. These accounts are perhaps the most critical elements of preparation. Even Bernard Moitessier did not have experience with heavy weather and big seas when attempting Cape Horn the first time around. He asked his wife and co-pilot to bring up books into the cockpit from their library so he could come up with a solution from other accounts. Vito Dumas provided enough insight in his account to allow Bernard to come up with his own ideas. He also knew that Tsu-Hang was pitchpoled by running directly before the sea under bare poles, which should be avoided. Only when he cut his warps and surfed on the stern quarter did he finally maintain control in such a sea state. Much of today’s information is no more than the same information that previous sailing authors had learned. I have chosen to stick with stories that would also apply to the type of boat I am sailing. Much of the stories written in the early 1900’s through the 1970’s were of double-ended, heavy displacement boats. Perhaps the only difference between today’s version of the same offshore boats would be a ketch-cutter rig versus a cutter rig, plus the addition of more advanced structural materials and rigging. The weight has decreased and durability has gone up. Only the quality is left to question when deciding which product will suit the application. Because of my extensive research, it has enabled me to conglomerate some of these accounts and lessons into something I can pass on to my fellow readers. I hope it has been insightful and useful for your own preparations. Please comment if you have any additional insight or opinion.